The only fully customized online ordering platform that showcases you and your brand. 71% of consumers would rather order takeout from your website than a third-party source. We'll make sure that your online ordering platform matches the look and feel of your business exactly. 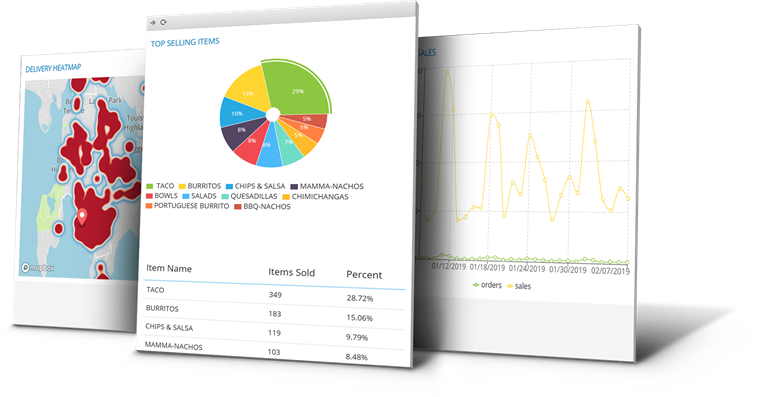 Rearrange items and menu departments to your liking with a simple drag and drop. Change prices, settings, add-on’s and item availabilities in just a few steps. No one knows your business better than you. 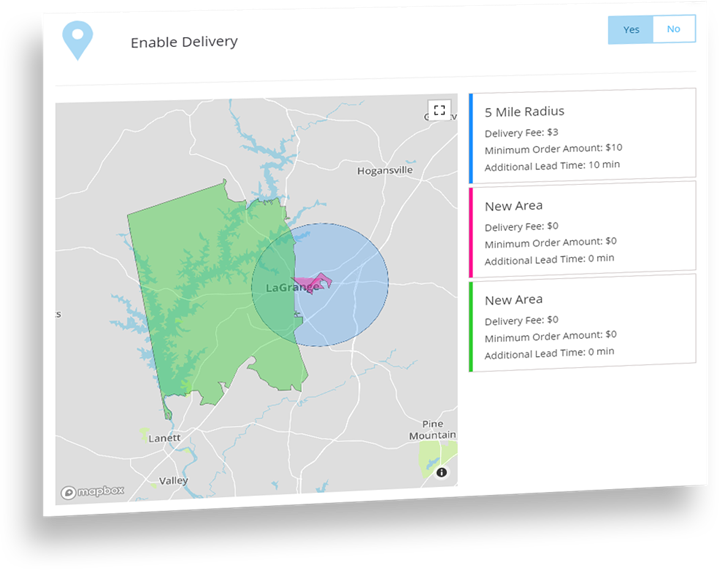 Choose your delivery zones, lead times, minimum order price, days off, availble hours, and so much more. You choose whether you want to receive order notifications via text, email, or fax, and we'll make sure you receive them immediately. Whether you've changed your menu completely or just need one small edit, you can rely on us to get it done at no added cost. Have you heard? Online orders tend to carry larger check sizes compared to dine-in checks by an average of more than 30%! 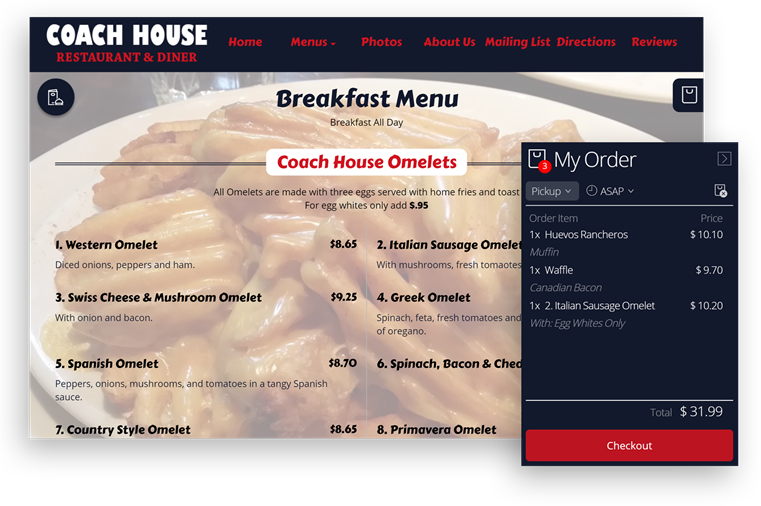 Online ordering is the preferred method of ordering takeout, and our simple interface makes for an even better ordering experience.